Despite advances in radiotherapy, disease control in locally advanced (LA) head and neck squamous cell carcinoma (HNSCC) has seen marginal improvement. Hypoxia, a common occurrence in HNSCC, is associated with poor prognosis through protection of cells from radiation-induced DNA damage and alteration of tumor biology to promote a malignant progression. 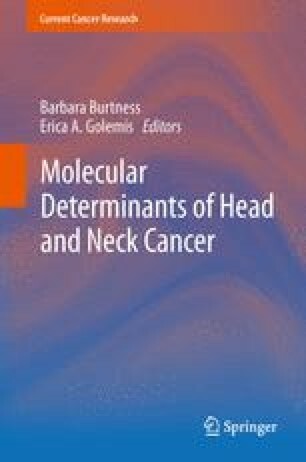 Significant effort has been devoted to targeting hypoxia in radiotherapy, including modification of tumor oxygenation, modification of the tumor vasculature, manipulation of tumor oxygen consumption and developing agents to either sensitize hypoxic cancer cells to radiation or to destroy them altogether. However, these approaches have had limited success in the clinic. Subsequent analyses of these studies revealed the importance of appropriate patient selection for hypoxia-targeted therapies. For example, it is now known that patients with human papilloma virus (HPV)-associated oropharyngeal carcinoma (OPC) do not benefit from hypoxia-targeted therapy. The future of hypoxia-targeted treatment in HNSCC radiotherapy lies in establishing a reliable and reproducible biomarker(s) or an imaging approach that can reflect tumor oxygenation and serve to select patients with aggressive tumors for therapy intensification.